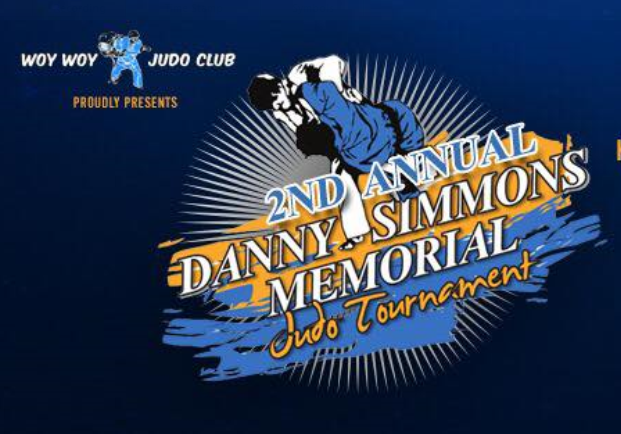 Twenty-two athletes represented Tiger-Do at the 2nd Annual Danny Simmons Memorial Tournament held at Kariong Mountains High School on Sunday the 15th October. A big thank you to the coaches and supporters who made the day great! 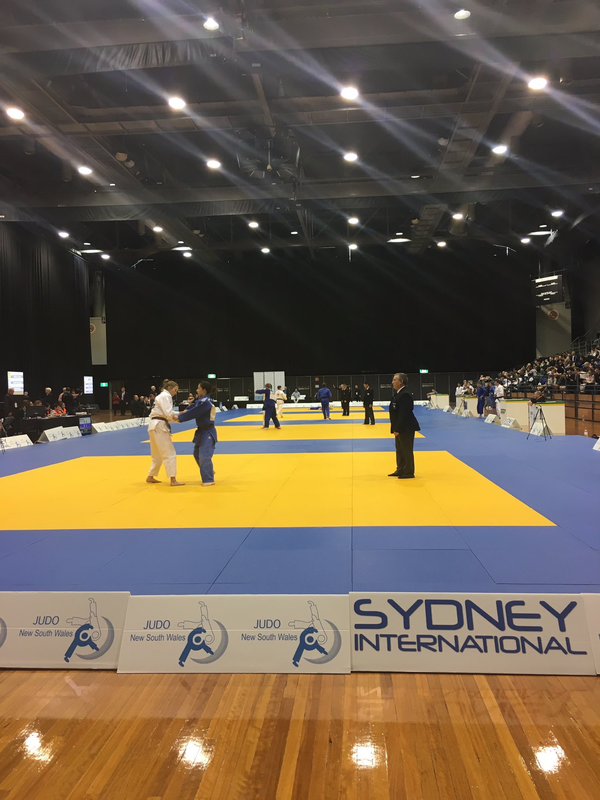 Fourteen athletes represented Tiger-Do at the 2107 Sydney International Championships. 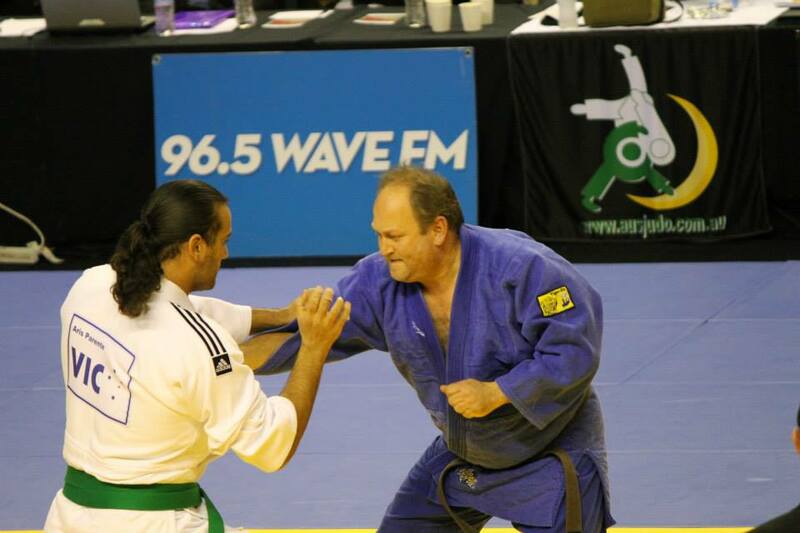 This is Judo NSW's premier event as it attracts competitors from across the globe. This year New Zealand and New Caledonia sent strong junior teams and some of our players were lucky enough to compete their international counterparts. The Tiger-Do player of the day without a doubt was Jad Reda. 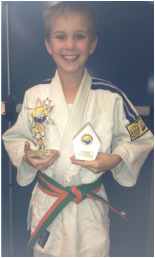 Jad kept up his winning form from the Nationals and won his first major in the Senior Boys U/50 kilogram division. 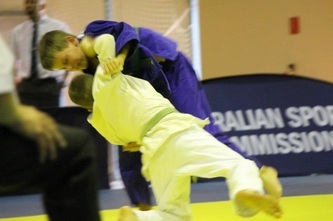 In the final, Jad convincingly beat the current U/45 kg National Champion. 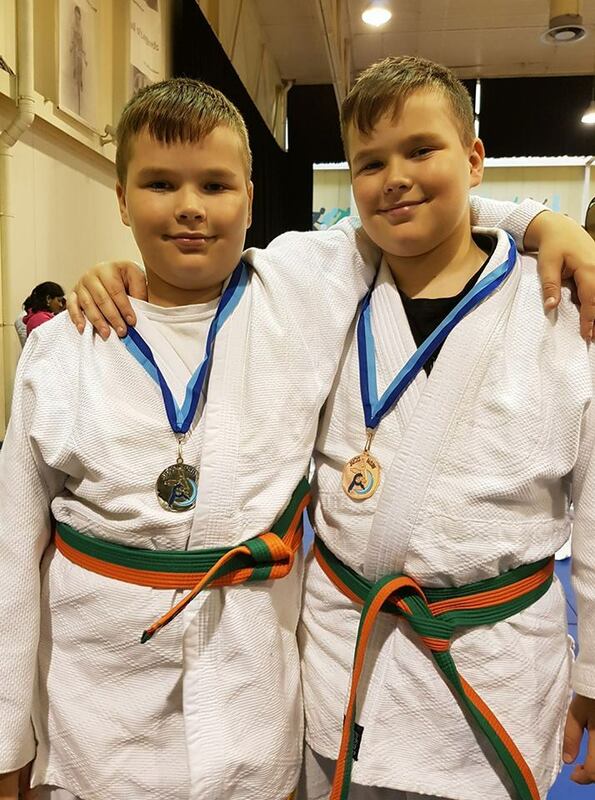 Tiger-Do dominated the U/50 kg division with Liam Mc Clifty and Mak Vudajlic both receiving bronze medals with convincing wins. 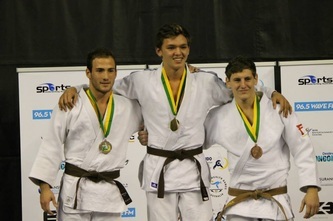 In the junior boys category, Nicholas McClity gained silver in the U/38kg category. 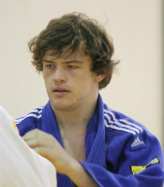 Lincoln Tomlin gained silver in the 50+kg category, finishing one place ahead of his brother Harrison. Hamzah Rashid played well in his first international open event in the preliminary rounds. 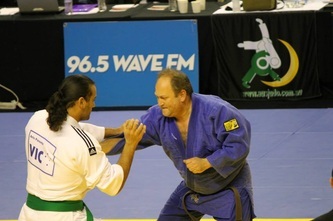 It is with great excitement that we watch Hamzah's judo progress. Another impressive fighter was Kyle Trusler in the Senior Boys U/36 kg category. 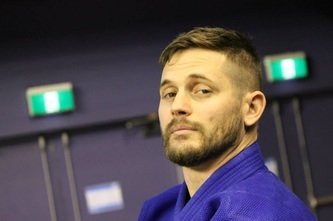 The lighest in the weight division by far, Kyle's outstanding ne-waza (ground work) was of particular note. 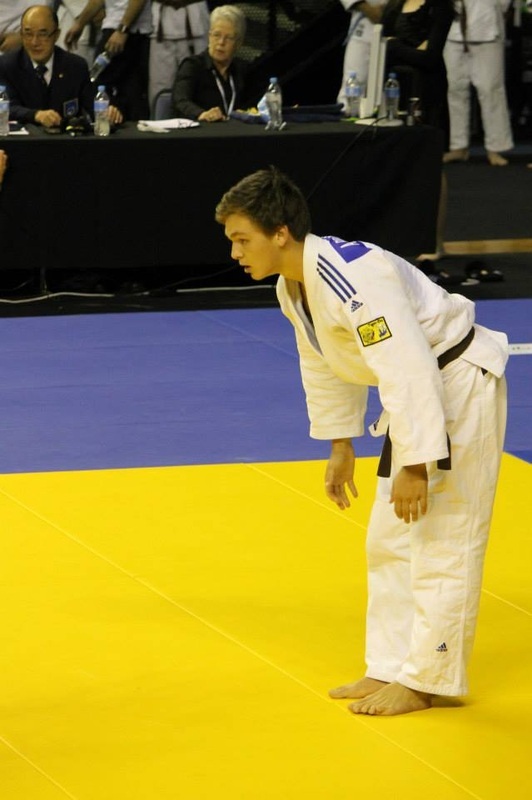 His bronze play-off showed the effort and determination needed to do well in judo. We also dominated the Senior Girls U/44 kg division with Ashlyn Doadefending her national title by winning gold; beating Tiger-Do's Keana McCarthy for the silver. Marissa Finks took silver in the U/48kg senior girls category. 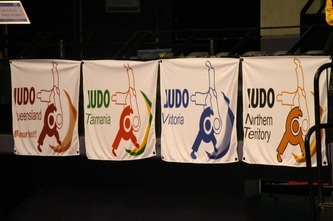 Deana Finka, Tayissa Tomlin and Markita Hancock put in strong performances in the U/44 U/48 and U/52 kg categories, however, narrowly missed out on medals. Thank you to our parent volunteers who helped support the tournament and congratulations to Bez on a great weekend of refeering. 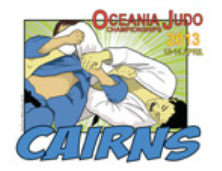 The coaches (Terry, Belinda, Nigel & Kristin) would like to congratulate all competitors. 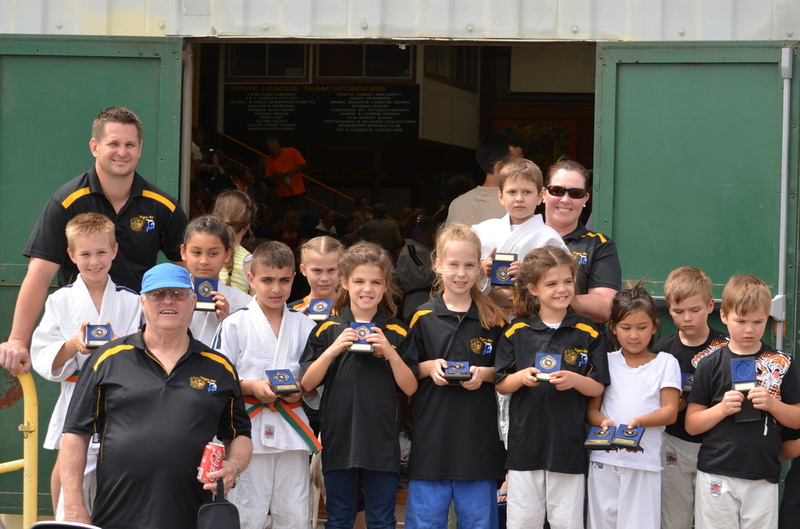 Our Under 9's Mon's competed at Blacktown Shinsei Tournament Sunday 30 July. 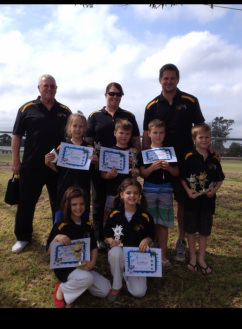 Again, such an impressive competition from our Tiger-Do cubs. Our results included 10 Gold and 8 Silver from 13 players. 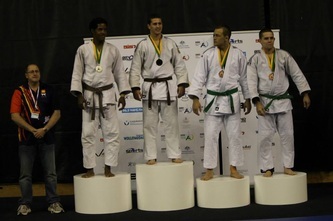 All players gained a medal which again is very impressive as some divisions had multiple pools. Alaa is congratulated on his first "Throw Of The Day'. This was the only award given. 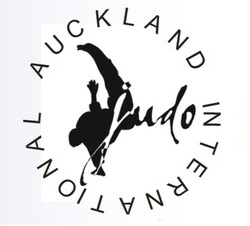 Tiger-Do continues 25+ years of outstanding results at Nationals - still one of the nations top clubs! 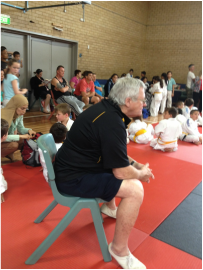 On the 28th May 2017 many of our under 10 contingent made their way over to Blacktown PCYC for a Junior Judo competition. 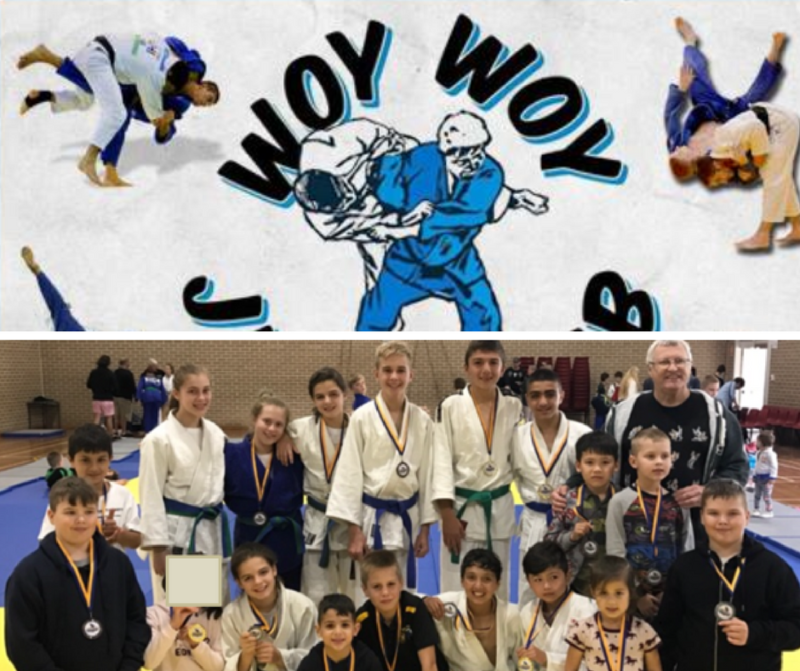 Again, our little chargers put in outstanding performances and showcased quality judo and why Tiger-Do received the Junior Judo Development Club of the Year Award. 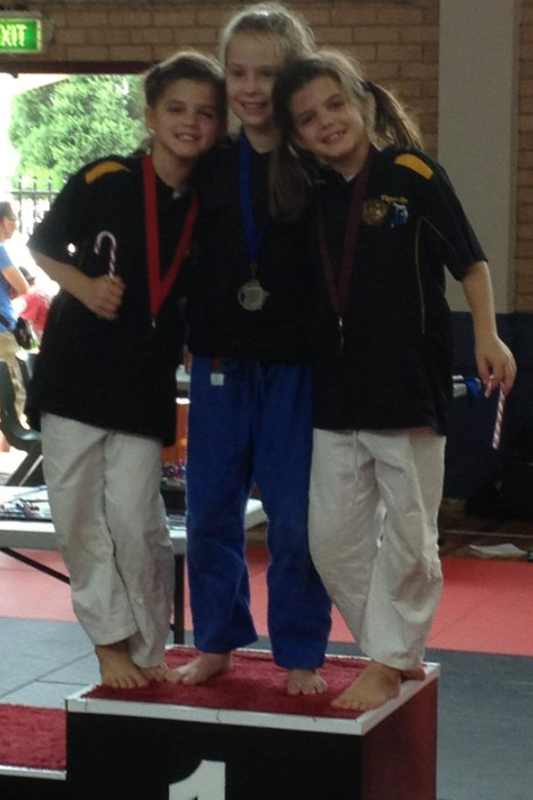 Amelia - GOLD - Mons Novice Girls U/21kg: Amelia won the best of out three category with two very impressive wins. 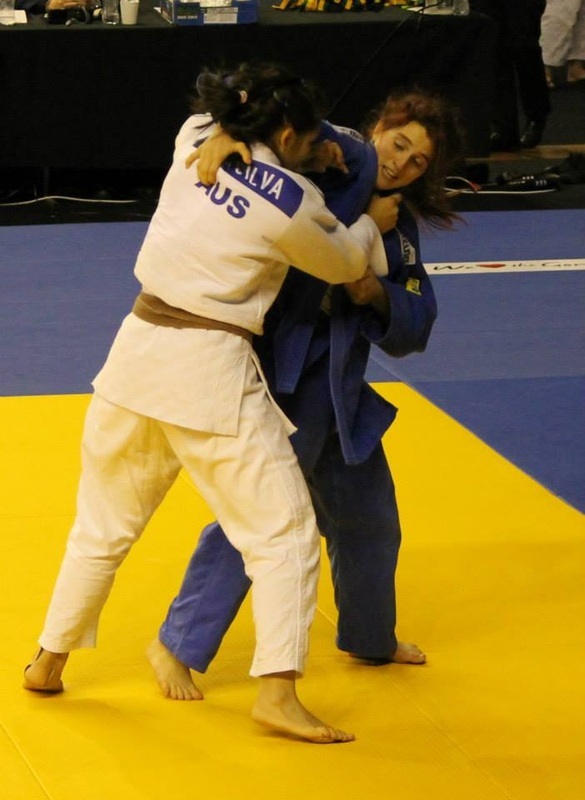 Amelia played impressive and attacking judo and was an absolute crowd pleaser. 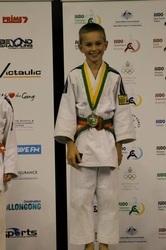 Zac - GOLD - Mons Novice Boys U/24kg - Zac won all his pool fights before he moved into the final rounds. Zac remained undefeated, winning his division. Behrad - GOLD - Mons Novice Boys U/27kg. 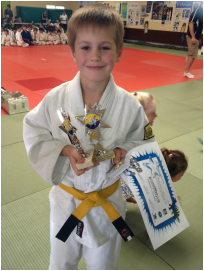 This was Behrads first competition and he won all his fights; three in total. 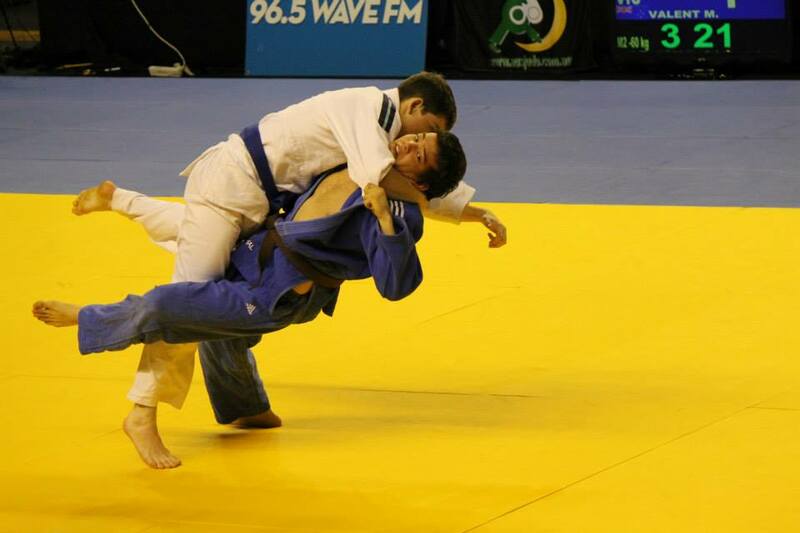 It was a very close competition which club mates Xavier taking the SILVER medal and Damen taking the BRONZE. An unexpected addition was Behrad receiving the "Throw of the Day" award out of all the mons players. 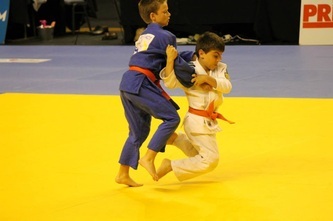 Danis - GOLD and Thomas SILVER in the Mons Graded Boys U/27 category. The final went into Golden Score, showing just how competitive and close this division is. Both Danis and Thomas won all there preliminary fights. Well done boys! Imad - GOLD in the Mons Graded Boys U/31kg and SILVER in the Mons Graded Special U/31kg category. Imad had some great wins fighting today in a heavier weight category and learnt a valuable lesson moving through the preliminary fights. This will serve Imad well for future fights. Nicola - BRONZE in the Junior Graded U/34kg. Nicola was matched against two boys and fought very well. She made some great attacks and her defence is definitely improving in this harder weight category. Congratulations to Mak and Jad who joined Bez in the refereeing arena and again out in admirable performances. 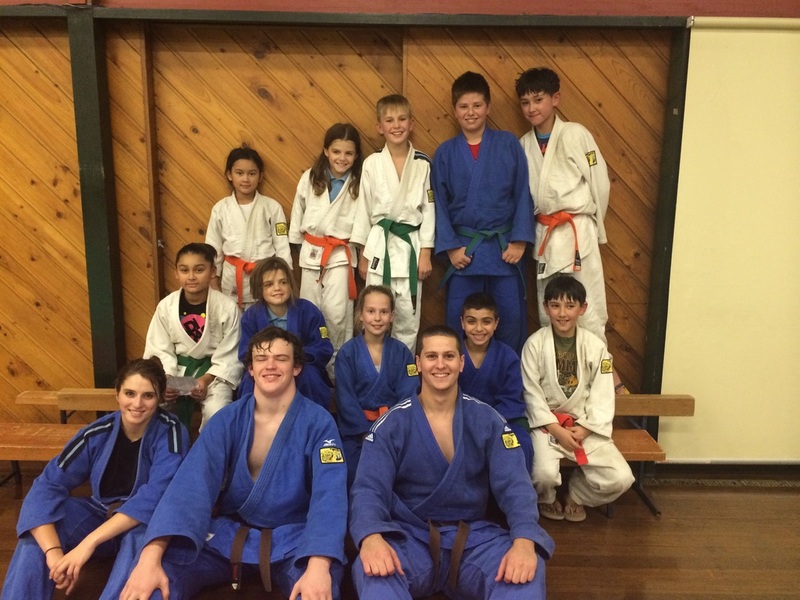 It is great to see their judo knowledge improving. 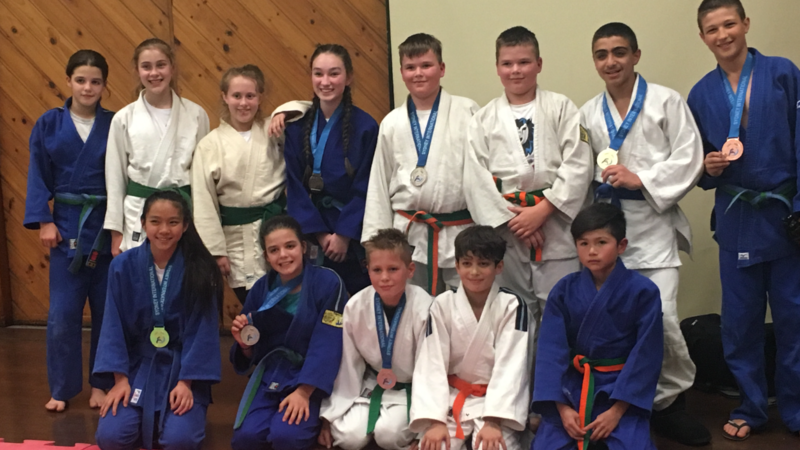 The final NSW State selection tournament for the 2017 National Titles was held on the weekend of the 22 & 23 April. 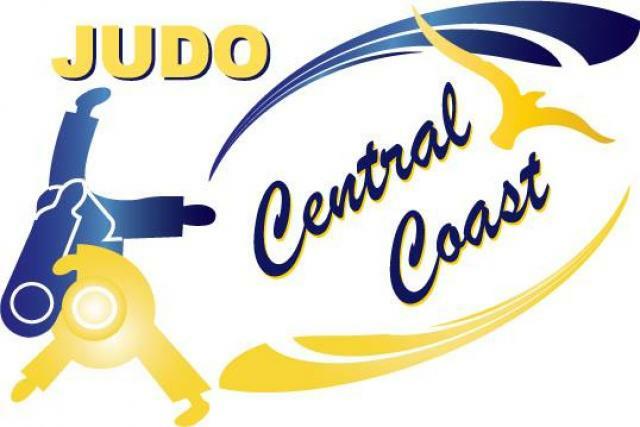 The Central Coast Judo Association put on a great weekend of judo with Team events on the Saturday night and individual competition on the Sunday. Again, the Tiger-Do crew fought admirably with great spirit, effort and attitude. These were the ingredients for such good performances. Our team consisted of 15 player. 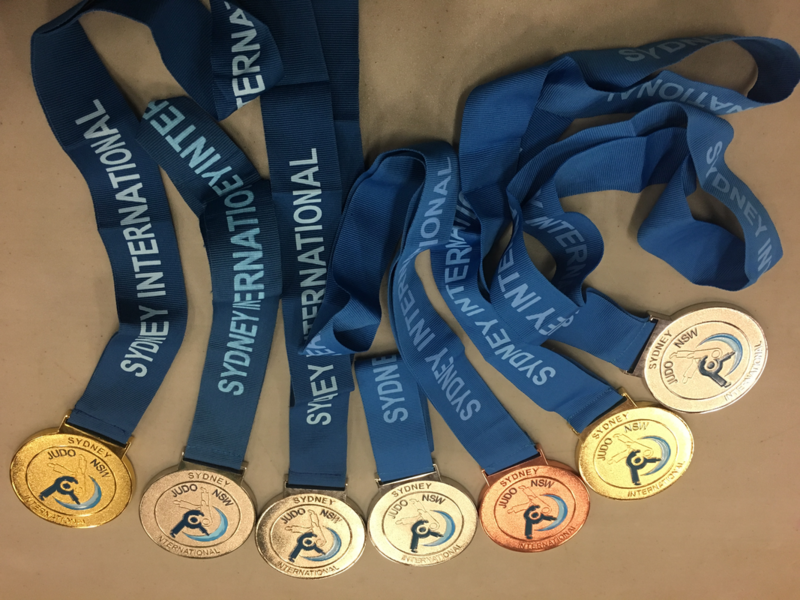 We achieved 6 first place (Gold medals), 8 second place (Silver medals), 3 third places (Bronze medals) and 2 fourth places - one of these was a finals play-off. 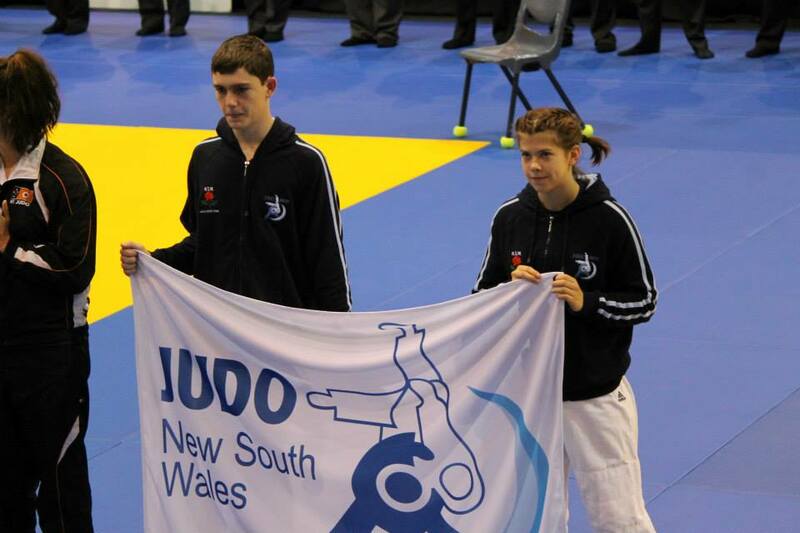 Jad - with no other competitors in the Senior Boys U/50 kg category, Jad moved up to compete against ten players in the U/55kg category. Jad won the four fights in his pool and then moved into the final. Mak had also made it through to the final. 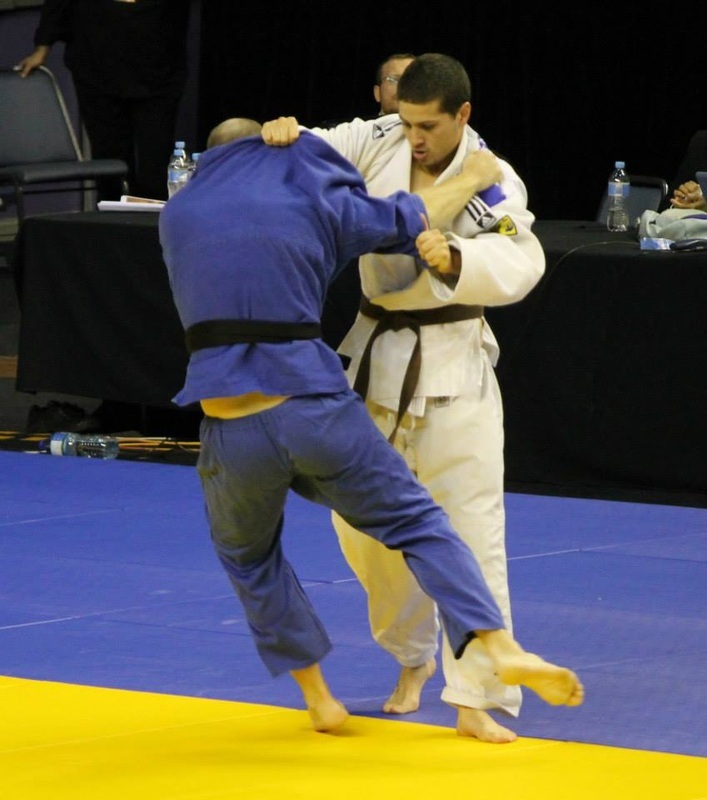 Jad ended up winning five of his six fights and a well-earned second place. 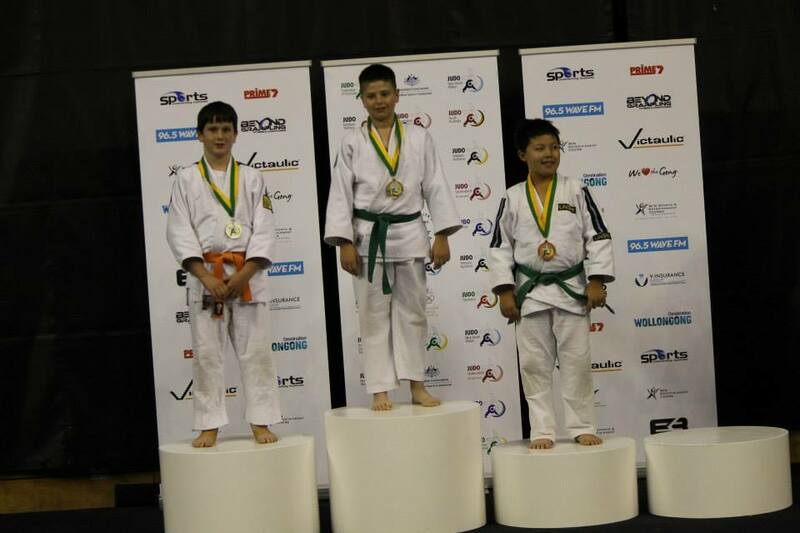 Hamzah - gained his second selection medal in the Junior Boys U/38 kg category. 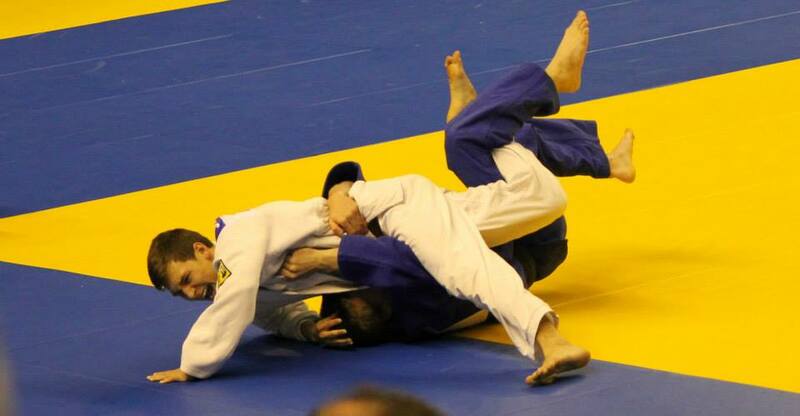 Special commendations to Hamzah in his fight against one of last years National medallists. A very impressive fight! 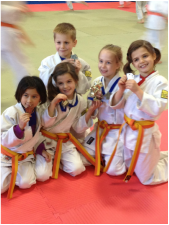 Amelia - competed in two divisions and won two medals. One of the divisions was a combined boys/girls mons category. Amelia performed very well, especially against the boys. 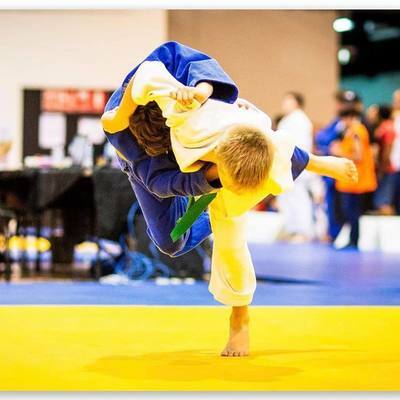 One of the boys parent's commented on how good Amelia's judo s after she beat his son. Well done Amelia! 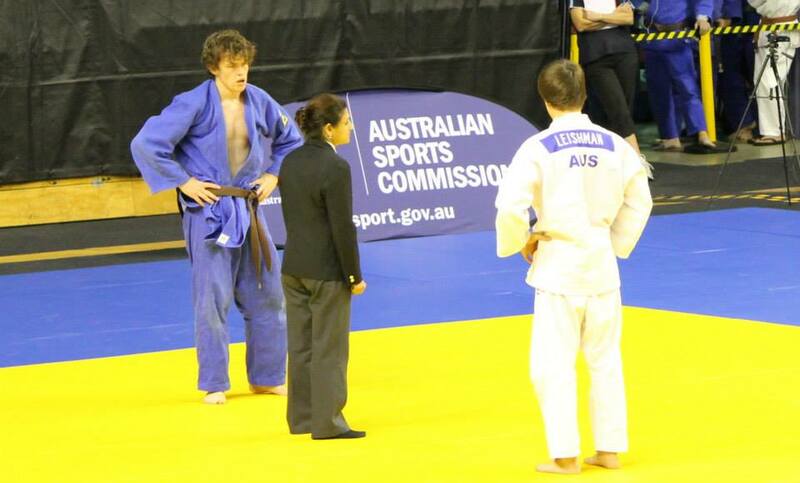 Liam -competing in his first competition back since Sydney International in 2016, Liam was straight into the winners circle in the senior boys U/45 kg category with two impressive ippon wins. A great start to the tournament season! 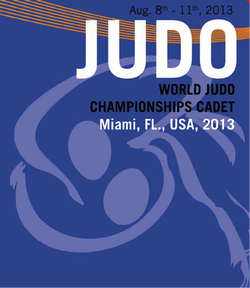 We are now looking forward to the State training camp and specialist Tiger-Do training in preparation for the Nationals. Watch this space for more! Sixteen Tiger-Do competitors competed at the 2017 State Titles. 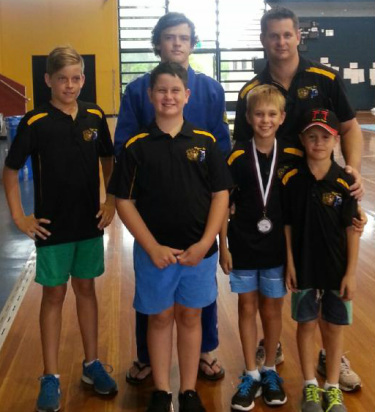 The event hosted hundreds of athletes as it was a compulsory tournament for athletes hoping to qualify for the 2017 Australian Titles to be held in the Gold Coast in June. 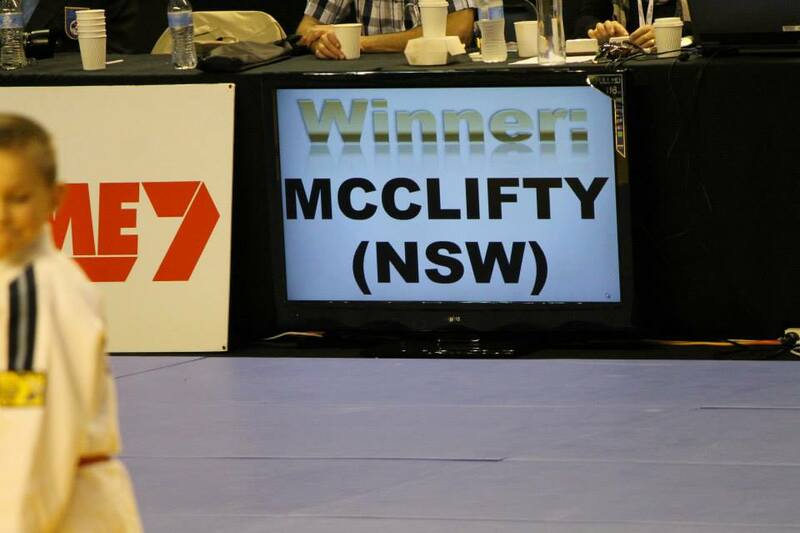 Nicholas Mc Clifty - Junior Boys U/38 kg - continued his winning ways with 4 wins to earn himself his second state title. 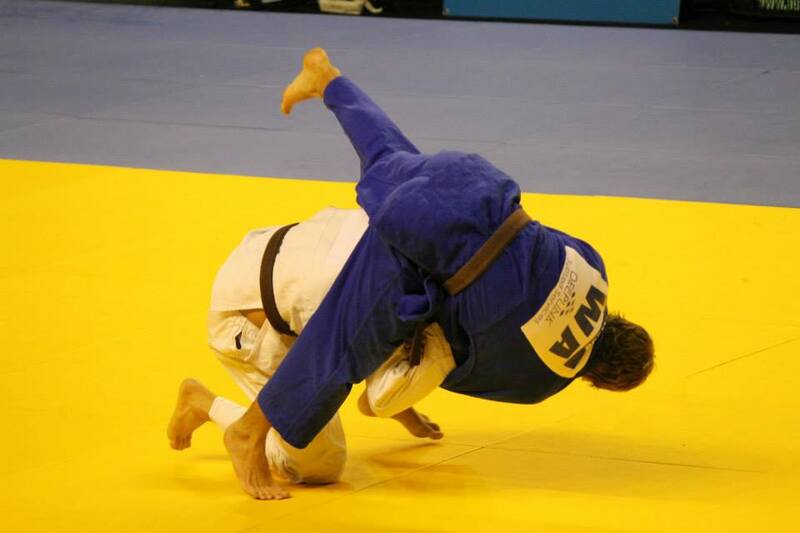 An impressive 3 ippon and 1 wazari win. 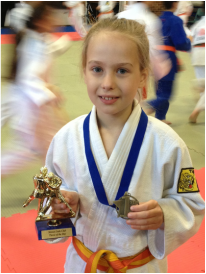 Ivona Ristevski - Senior Girls U/40 kg - 3 wins in a very competitive division. 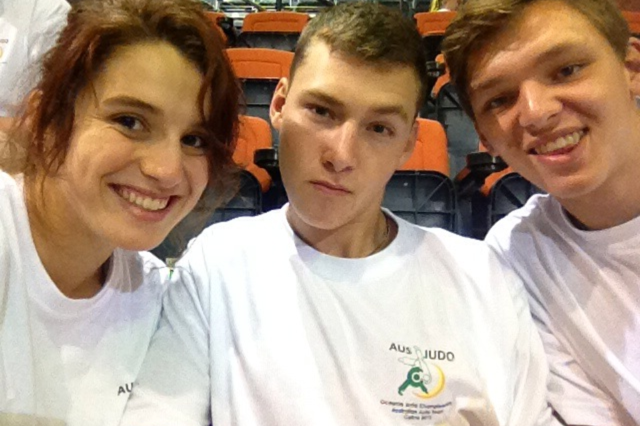 Ivona played strategic and had great attacking judo. 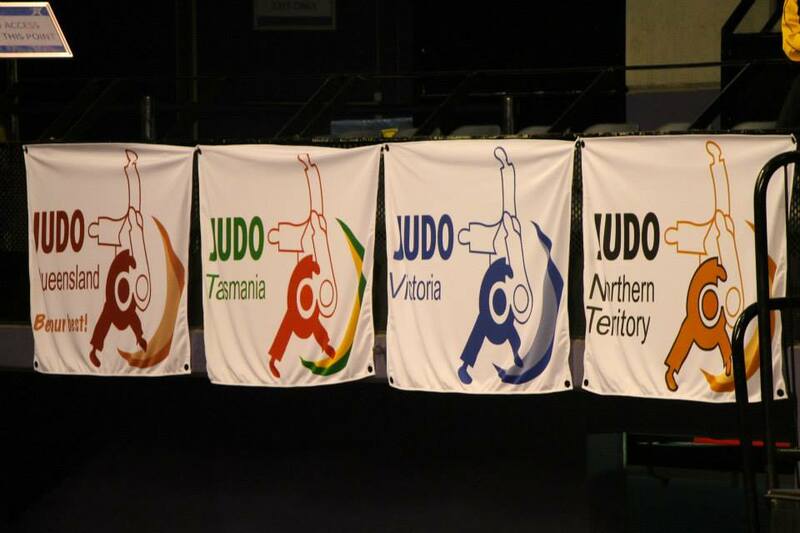 Ashlyn Do - Senior Girls U/44 kg - 3 ippon wins in a competitive division against her fellow Tiger-Do competitors. 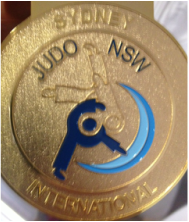 Jad Reda - Senior Boys U/50 kg - 2 ippon wins, including a convincing win against a national medallist he hasn't beaten for over 3 years. Very impressive! Micquit Ngaata - Senior Boys O/66+ - 3 wins in a competitive division. The highlight of Micquit's fights was a big O-Goshi (hip throw) win. 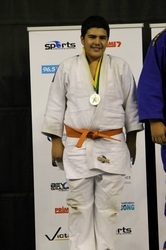 Kruze Ngaata - Junior Men U/90 kg - followed in his younger brothers footsteps with 2 wins to earn himself his first state titles. Kruze competed in a lighter weight category than normal and this made all the difference! 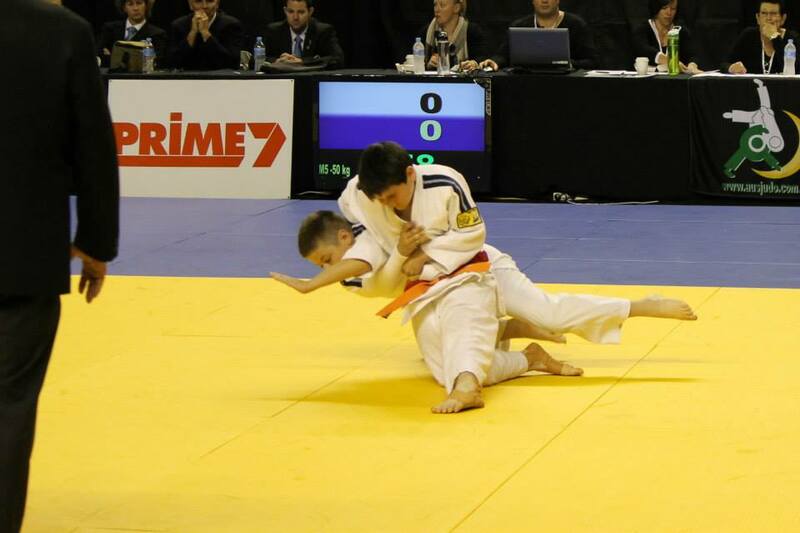 Andrej Ristevski - Junior Boys U/30 kg - Andrej had 5 fights and 3 wins. 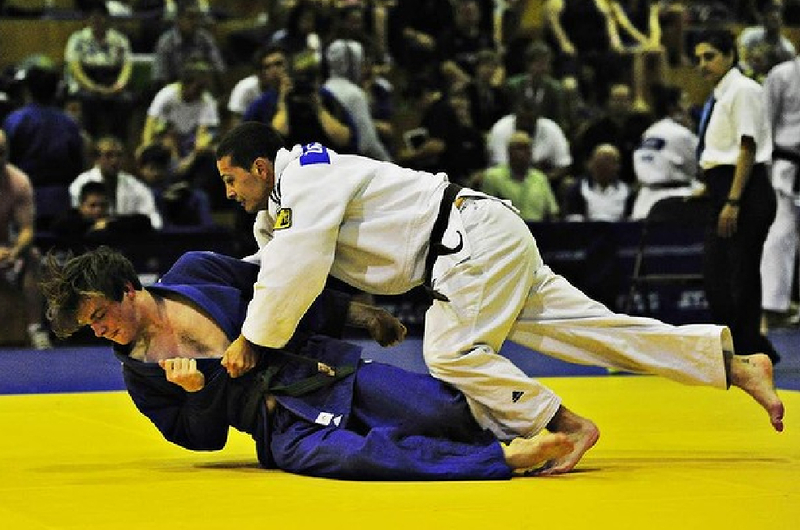 Andrej ended up in a equal first place spilt and the Sporting Code rules kicked in and examined the time on the mat during the winning fights in both the pool and final competition. This moved Andrej into second place. Well done Andrej! Marissa Finka - Senior Girls U/44 kg - 2 wins and all close and competitive fights. A great effort in senior girls for the first time! Wyze Ngaata - Junior Men U/81 kg - 1 win and another close fight against a more experienced fighter. Such a gallant effort! Hamzah Rashid - Junior Boys U/38 kg - 2 early wins in the pool draw saw Hamzah enter the final pool in his first competition in junior boys. Hamzah had 4 fights in total and was beaten by more experienced competitors inn the final. Deana Finka - Senior Girls - U/44 kg - 1 win in a very competitive weight category. Deana fought very strongly and strategic. 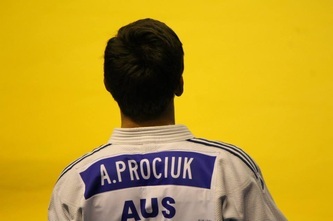 Mak Vugdalic - Senior Boys - U/55 kg - 3 wins and 2 losses in Mak's first state titles in senior boys. 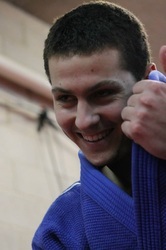 Mak had some very impressive wins and learnt a lot from the day. 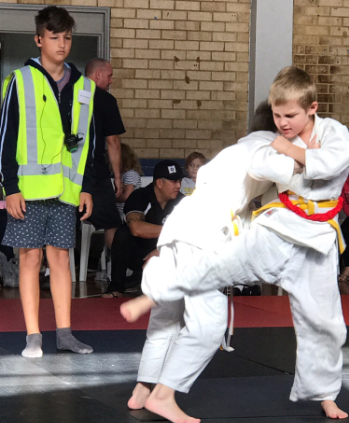 Tayissa Tomlin - Senior Girls U/44 kg: a very strong effort in a tough category of Tiger-Do girls, Tayissa fought exceptionally well. 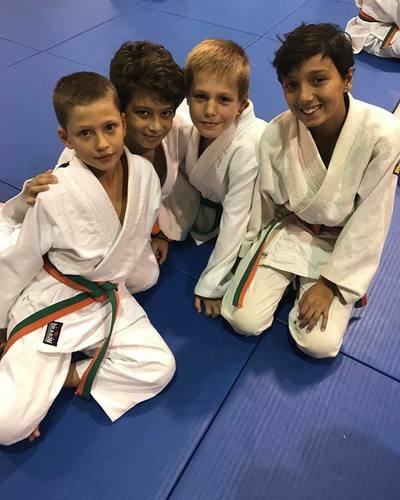 Bahaat Lababidi - Senior Boys U/36 kg: Bahaat had a stunning first fight (Ippon win) and carried through to the final pool of four in a very competitive division. 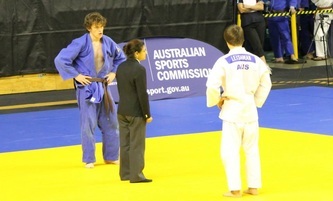 Bahaat is commended on reaching the final in his first State Titles. 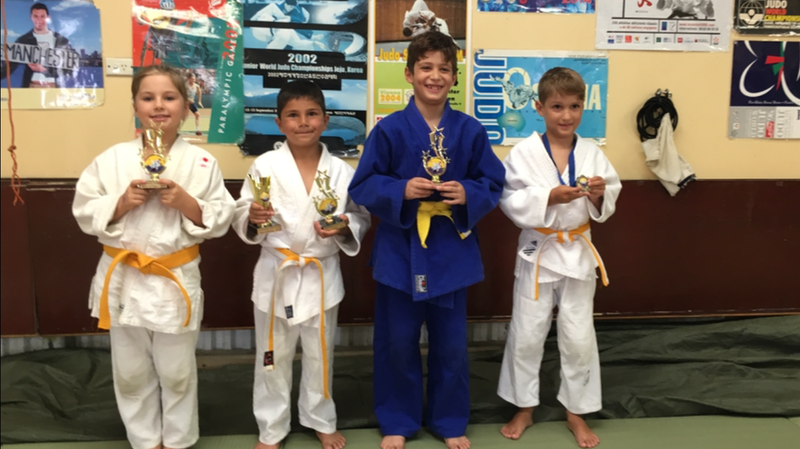 Alaa Lababidi - Senior Boys U/60 kg: Competing in a round robbin division of five players, Alaa won two fights and fought strongly in the others. There has been such a big improvement in the Lababidi brothers - very well done! 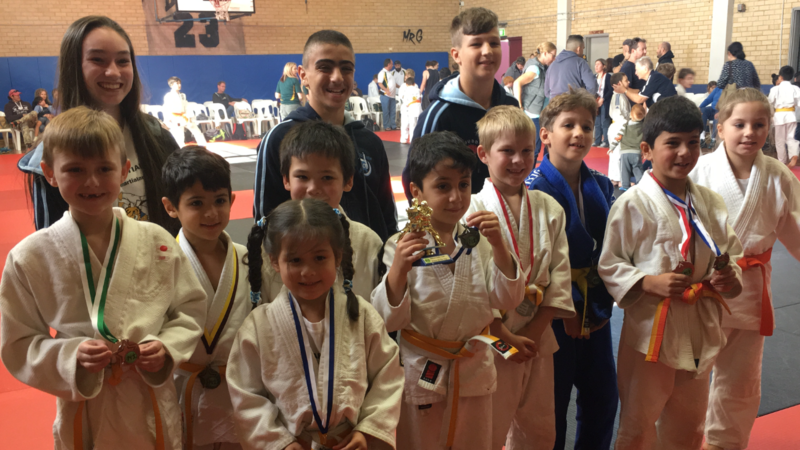 The inaugural Tiger-Do Judo Cubs tournament was held at Merrylands High School on the 26th of March 2017. 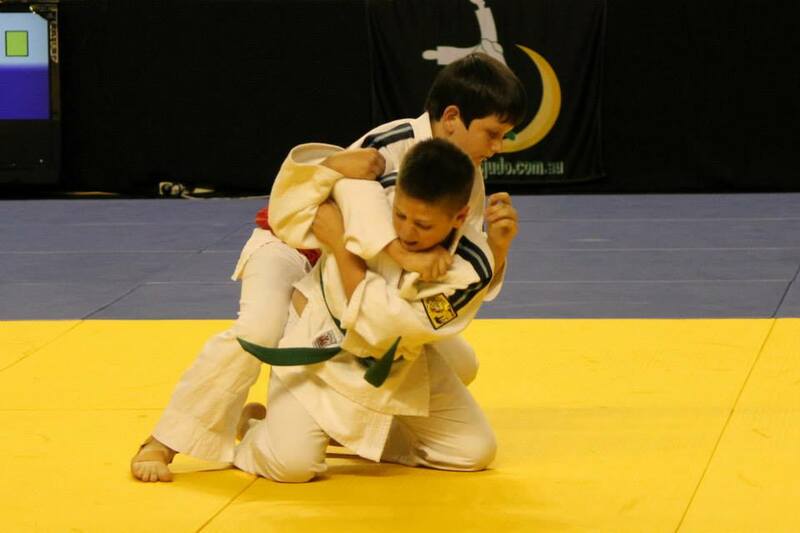 111 competitors entered the mons and junior boys and girls divisions and over 200 fights were held on the day. The 2017 tournament season began with the ACT International Open in Canberra held across the weekend of the 18th and 19th of February. A number of our athletes have moved into older age divisions and Canberra was the first opportunity to for them to try their skills out. It was also the first competition to test the new Junior rules introduced for improved safety. 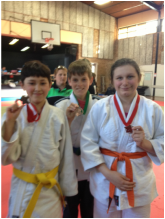 Mak and Keana also fought strongly with Keana fighting off for a bronze medal. 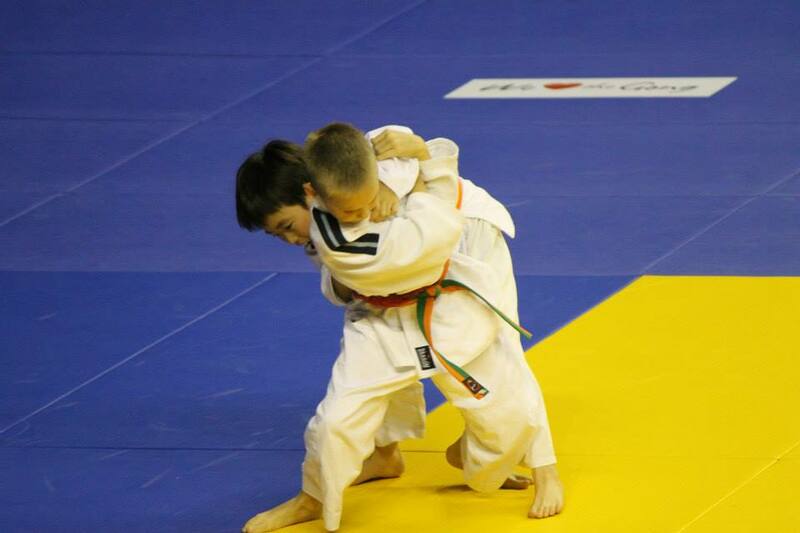 A great tournament at Budokan Mons for our Tiger-Do chargers. 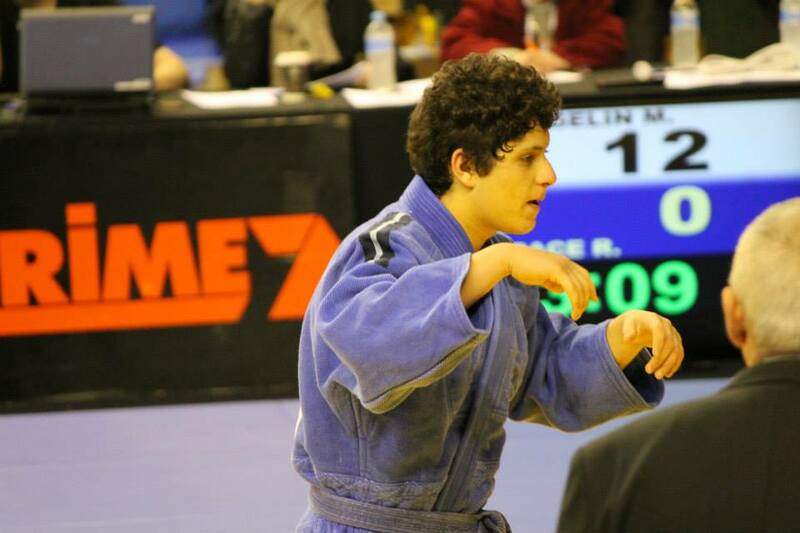 Emad and Danis were in a very competive division (Mons Novice U/24kgs). They pulled through their pools and enetered the medal rounds. 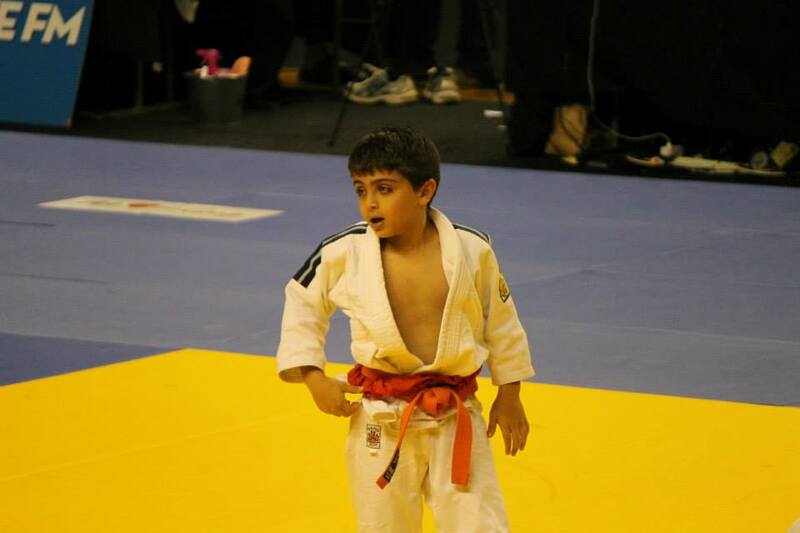 Emad won all his fights (4 ippon wins and 2 wazari wins) and took his first Gold Trophy. He also won "Player Off The Day" for the entire tournament. Danis faught great and received a bronze medal. 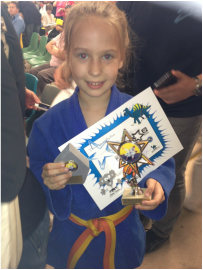 Nicola fought her first competition in the Mons advanced category. 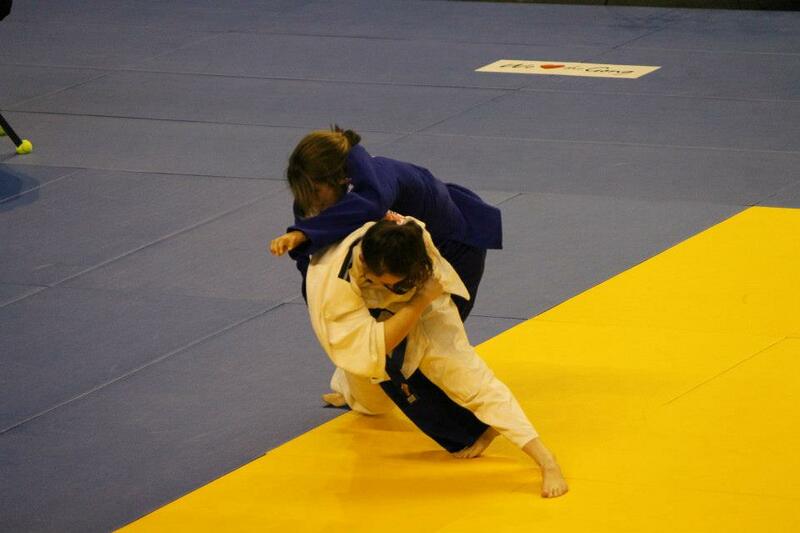 She won both her fights with convincing Ippon wins. She too won her first Gold medal trophy. 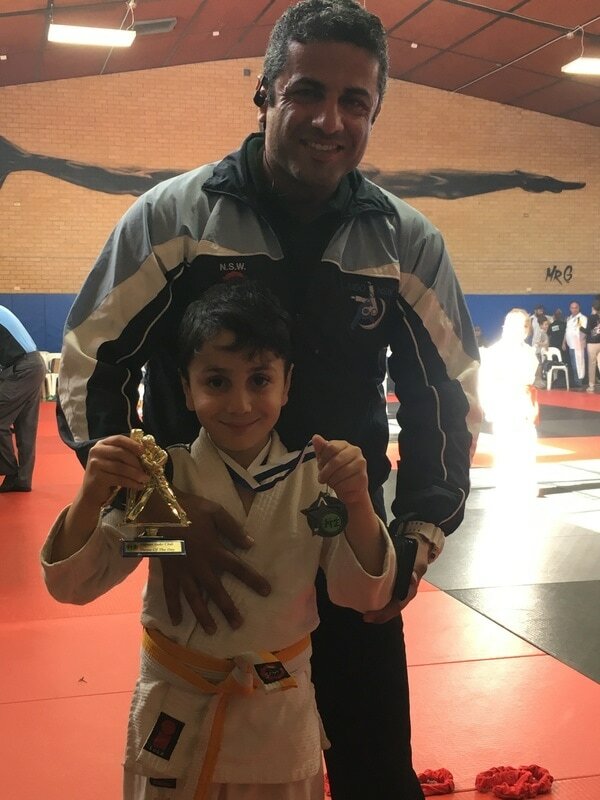 Hamzah competed in his first competition after a 2 year gap and did not disappoint. Hamzah won his division and it was a gutsy performance. He was a yuko score down. He squared this up before gaining a wazari score. Again, another first Gold Trophy for Hamzah. Terry, Belinda and Jessica led the coaching charge. Jessica in particular was very 'hands on' and we thank Jess for her help. The brothers of all our players (Mak, Allah, Bahaatt, George and Kareem) did a great job also. What a great day. Thanka all. Twelve Tiger-Do charges headed down to Canberra for the 21st ACT International Open. There were 475 competitors and it was a first for 5 of our players. 67% of Tiger-Do players made the final. ​The list of all the contestants can be found here. Marissa - Junior Girls U/40kg. 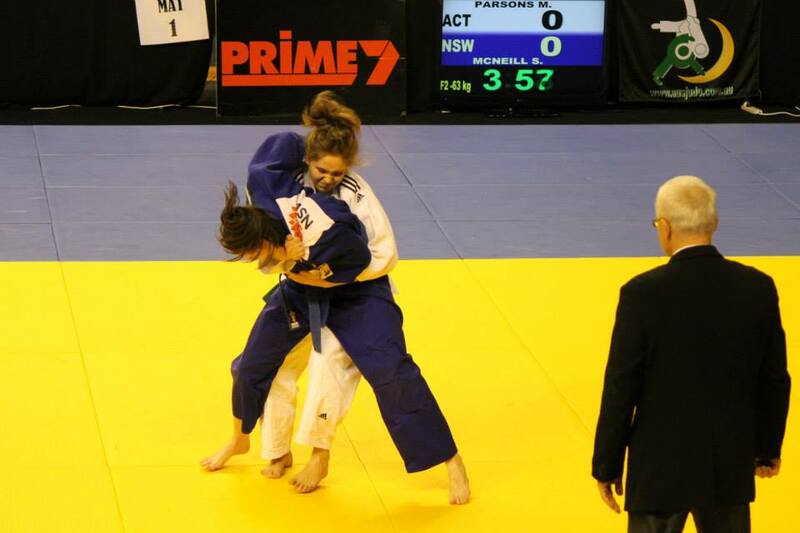 As the current national champion in the Junior Girls U/36kg category, Marissa did not disappoint. She had a great start to the tournament calendar with 2 convincing wins. 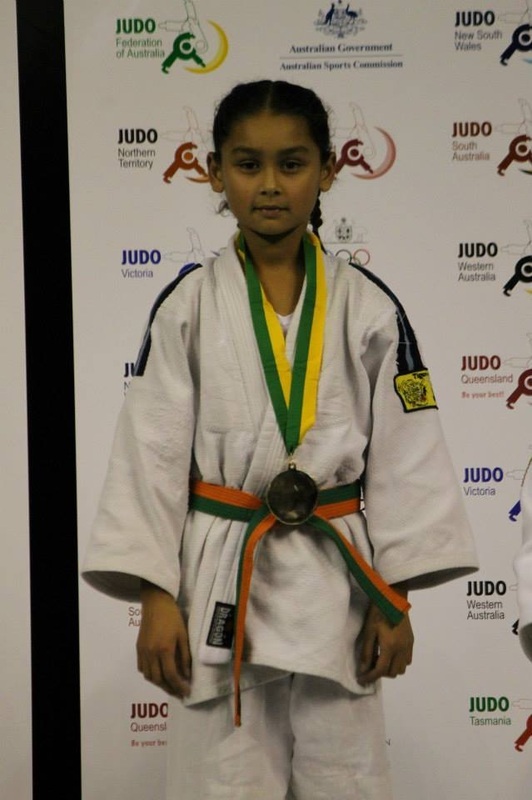 Markita - Junior Girls U/44kg. 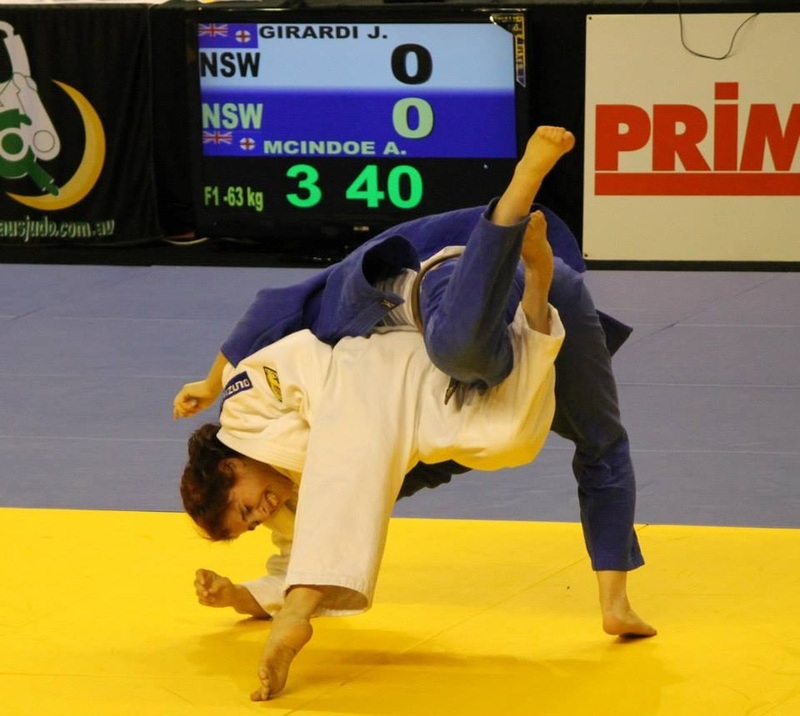 Markita also had 2 convincing Ippon wins against a competitor from the ACT. This was Markita's first ever gold medal. We are proud of you Markita. Mak - Junior Boys O/50kg. 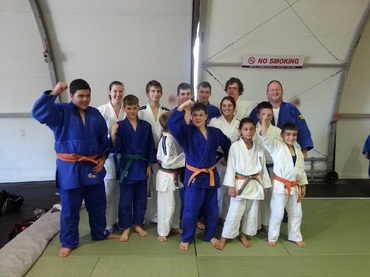 Since joining Tiger-Do in 2015, Mak's judo continues to improve. 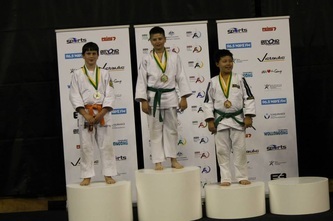 Mak achieved his best result and first gold medal at the ACT Open Championships after 2 convincing wins against his first international competitor and a tough competitor from the ACT. 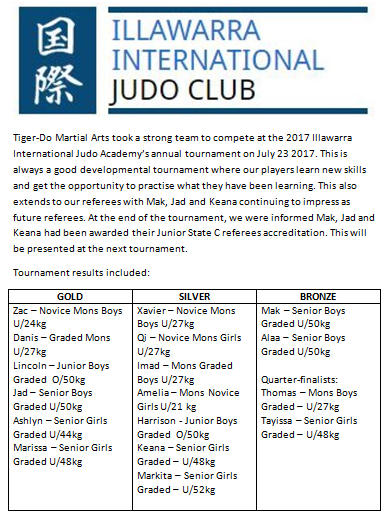 Nicholas - Junior Boys U/34 kg. Nicholas has always been a very strong fighter and this competition proved it. He achieved a silver medal after a hard 5 fights with 4 fantastic wins. 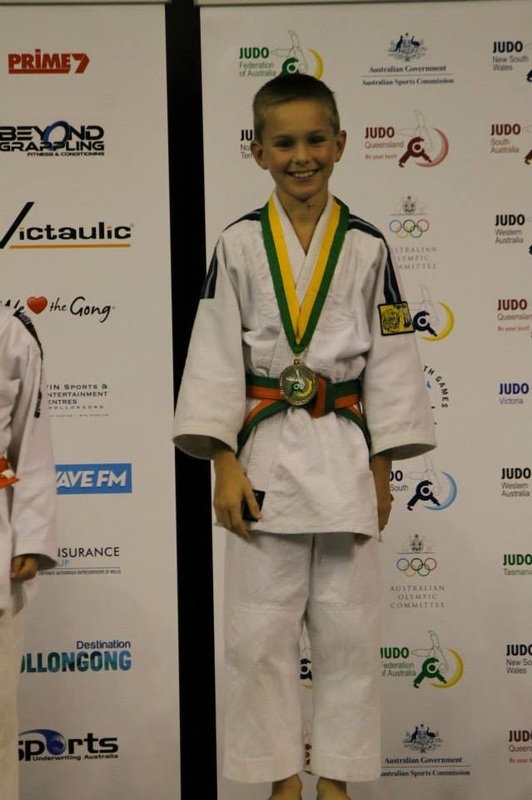 The road to nationals looks very bright for this young fighter. Ivona - Junior Girls U/36kg. 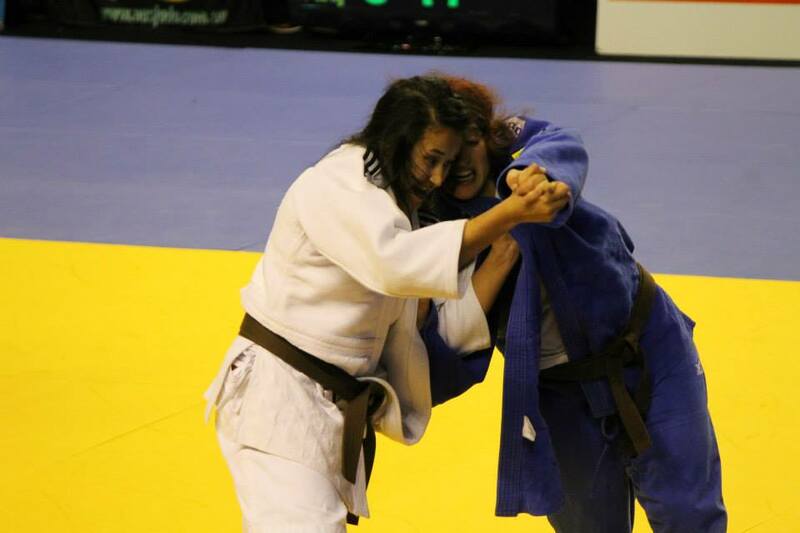 After coming back from injury after six months, Ivona's first major competition back proved that she had not lost her touch, pulling out 2 wins against reputable opponents. 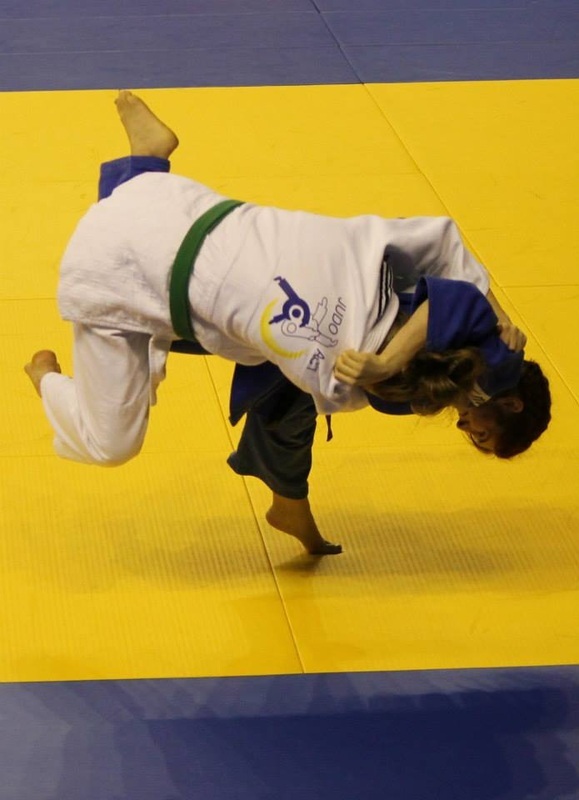 With nationals in her sights, Ivona isn't going to back down without a fight. Keep an eye out for this up-and-coming champ. 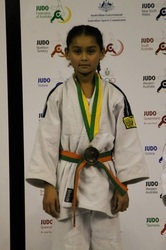 Deana - Junior Girls U/40kg. Fighting someone from your own club isn't easy, fighting your twin sister isn't any better. The under 40 division was not ready for this dynamite as she plowed through the competition to fight her sister for the gold medal. An amazing result for Deana, and we can't wait to see what happens on the road to the National Championships. Jad - Senior Boys U/40kg. 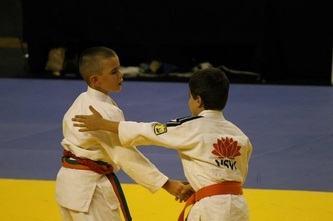 In his first ever major final, Jad was able to hold his own against an older and more experienced player. 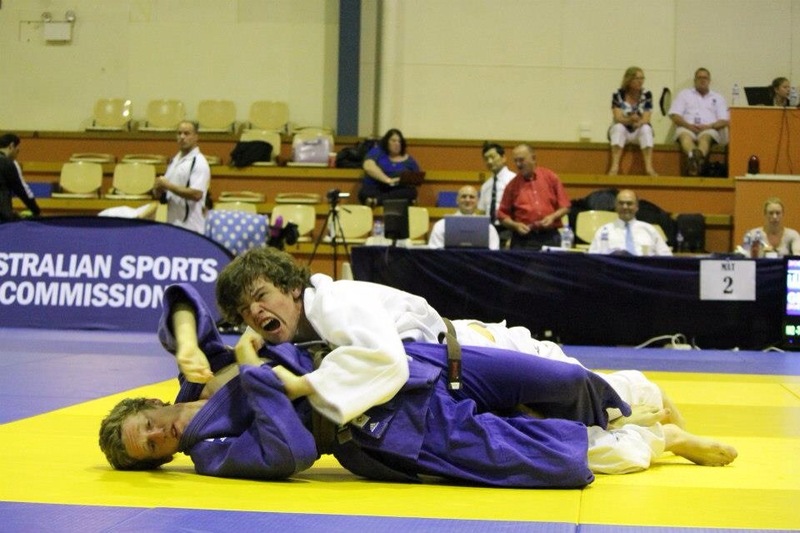 His best result ever, he continues to train and improve on his judo journey. Top work Jad! 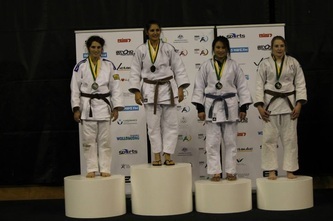 Keana - Senior Girls U/36kg. 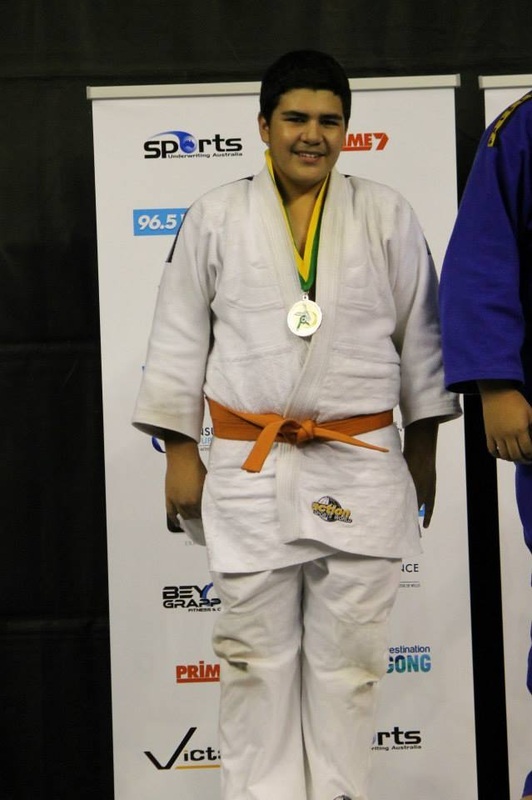 The ACT International Open proved no match for first-timer Keana, whos determination and perseverence pushed her into the silver medal position. After a tough 3 fights and 2 rematches, Keana came out on top earning the silver. Onwards and upwards Keana! Jackson - Junior Boys U/30kg. In his first major competition, Jackson fought every fight to the best of his ability and was rewarded with a bronze medal. Against older and more experienced players, Jackson's improvement is obvious and we can't wait to see his next fight. 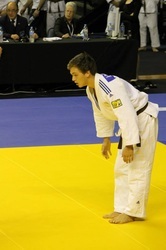 Andrej - Junior Boys U/30kg (5th place). A hard fought 5th place for this young-gun as his first major competition was filled with learning experiences that Andrej can take under his belt. Andrej is continually improving and a fifth place against more experienced opponents is a commendable effort for this 8 year old. Kyle - Junior Boys U/30kg (7th place). Kyle's commitment and passion shone through as he battled his way through a large and tough division to finish with a commendable 7th place. As he continues to advance, Kyle is one to watch in 2016. 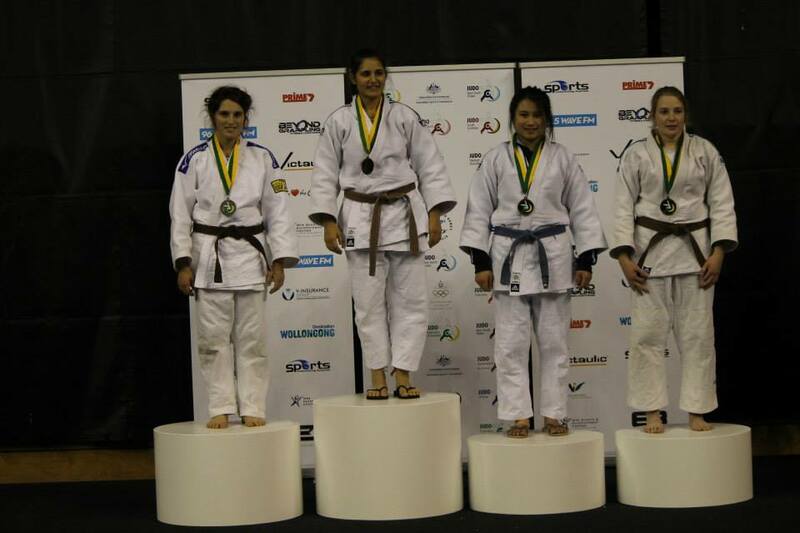 Jess - Senior Womens U/63kg (5th place). 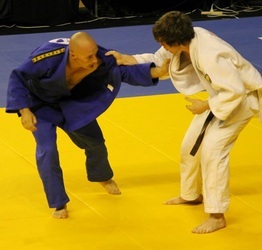 After sustaining an injury in the semi final, Jess was withdrawn from the bronze medal fight. An unfortunate end, but our new black belt will be back to shake things up. 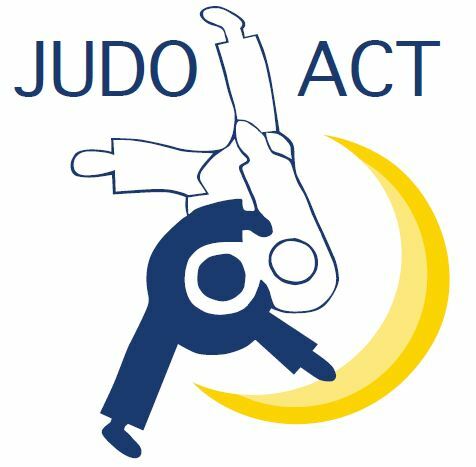 Liam McClifty - An unfortunate week for the young fighter, after sustaining an injury at training earlier in the week, he was unable to compete in the ACT International Open this weekend. But a special thank you goes out to Liam for being our official photographer, and help for the weekend. The coaches (Terry, Belinda, Nigel and Kristin) - For all the help and support that they provided over the weekend's competition. A special thanks to Jessica and Gerardo for all their assistance with the younger kids. Parents - For the support over the weekend and the support during training. Tiger Do was also asked to assist in the coaching of two Northern Territory competitors, Jed and Ji, who both pulled out commendable results, a 5th and a 2nd. 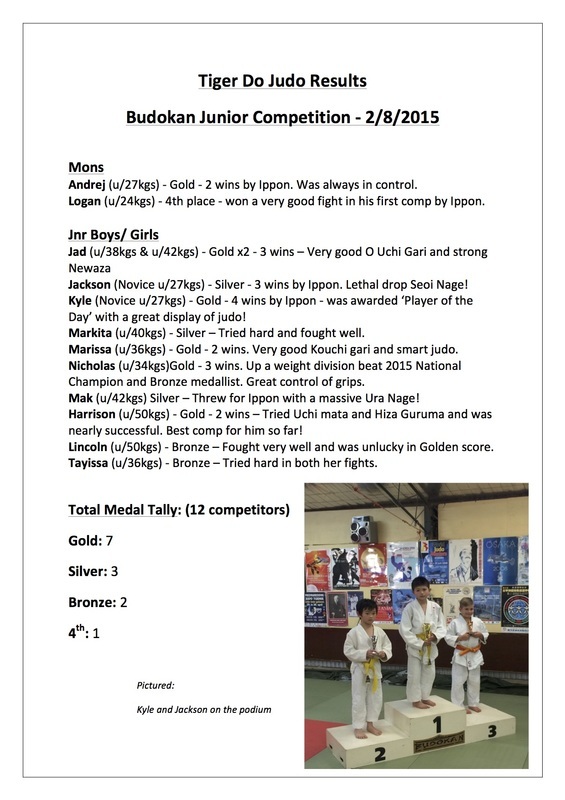 We are very pleased with these results and hope that Jed and Ji both continue in their judo improvement. 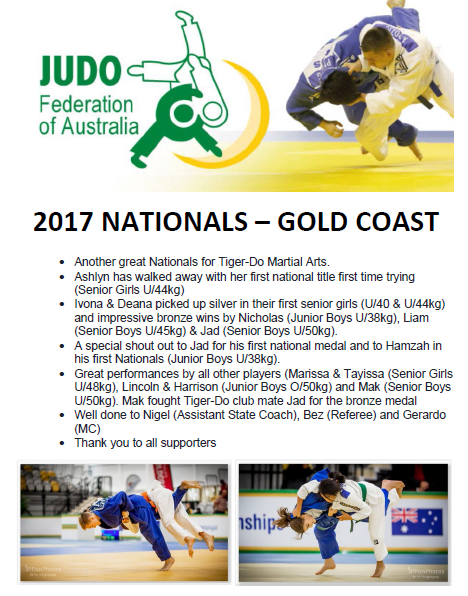 An exciting time for Tiger Do with so many competitors vying for positions in the state team for the Australian Judo Nationals in June. 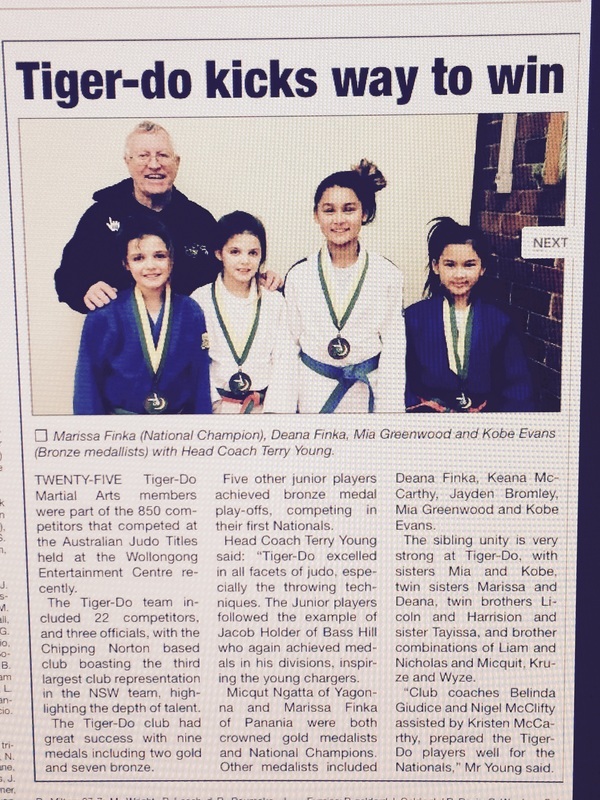 Newspaper article on our Powerhouse Girls in the Canterbury-Bankstown Torch (5 August 2015) re Tiger-Do's success at 2015 Nationals. Well done all! 2014 National Judo Titles - Great Players, Great Results! More photos to come. Watch this space! Thank you to Darren, Dean and Gerardo for assisting with volunteering at the tournament and to our supporters for cheering Team Tiger-Do on. 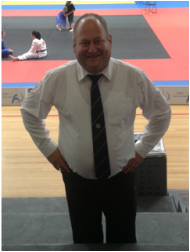 Thanks also to Terry, Nigel & Belinda for your coaching help. 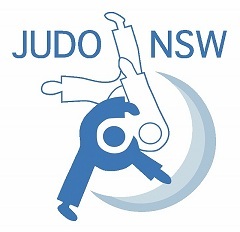 Jacob Holder, Liam McClifty, Marissa and Deana Finka, Ivona Ristiveki, Justin and Jaiden Bromley, Jad Reda, Mia Greenwood and Kobe-Lee Evans competed in the 2014 NSW State Judo Championships. 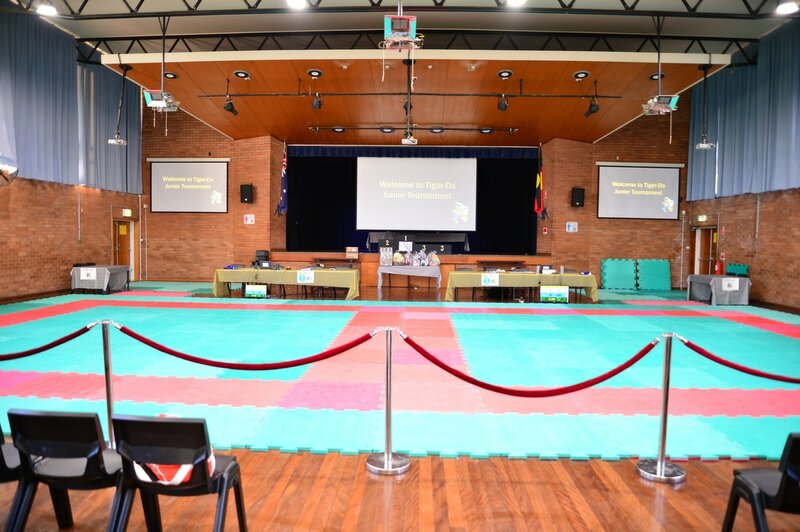 This was our first competition at the new (actually old) Judo NSW competition venue. 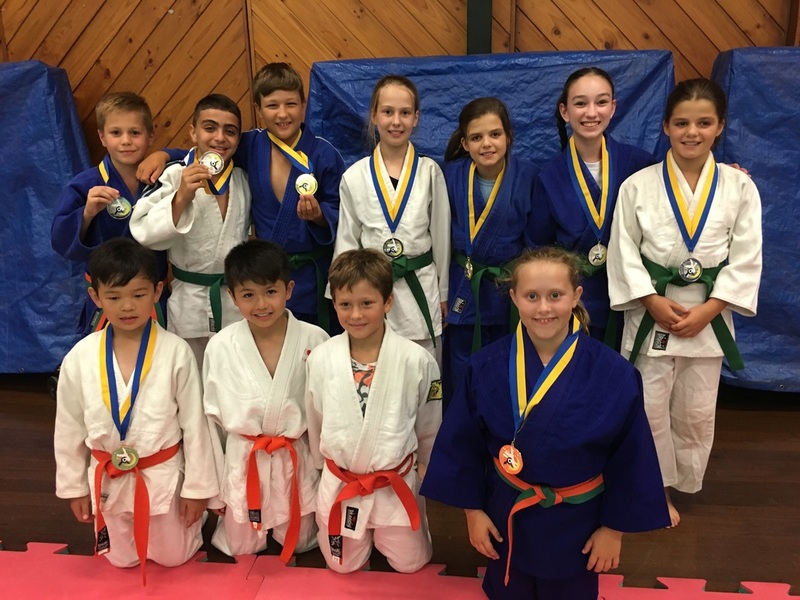 1st place and State Champion to Jacob Holder (Junior Mens U/81kg), Liam McClifty (5 wins in the Junior Boys U/30kg), Mia Greenwood (fighting up a category in the Junior Girls U/40kg), and Ivona Ristiveski and Marissa Finka (1st State Titles and State Champion in the Junior Girls U/32kg and U/29kg divisions). 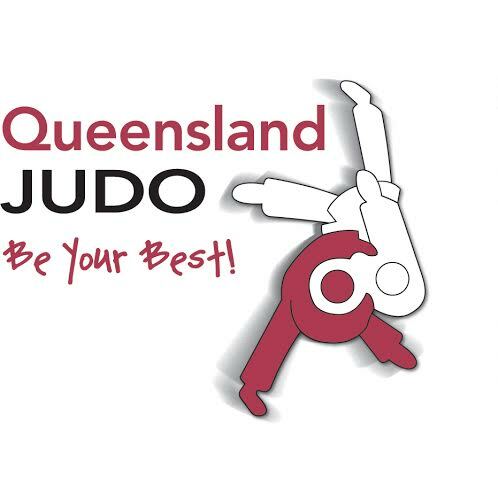 Jad Reda and Jaiden Bromley made the medal play-offs and Justin Bromley and Deana Finka put in a very strong performance within the Preliminary round. Jessica has placed an album on Facebook from the 2014 State Titles. Please click on the Facebook Icon below to access the photos. 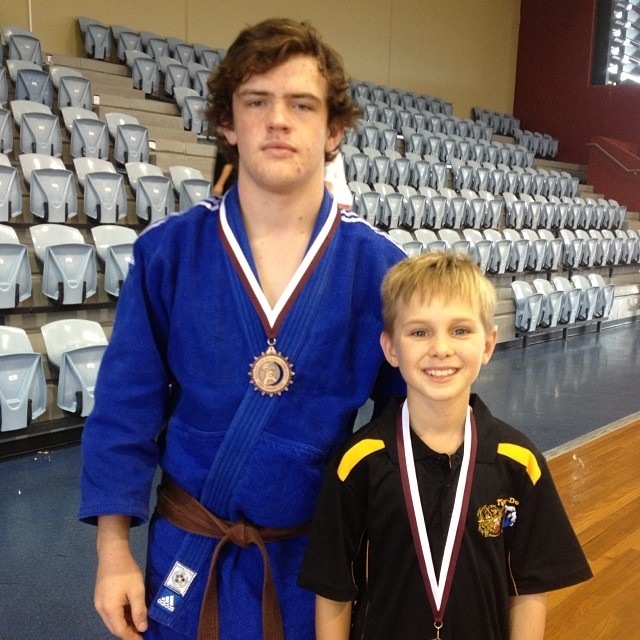 After a successful ACT International Open, Jacob was in contention for Oceania selection in the Junior Men U/81kg category. After a call was made to our QLD friends (The Brice's), it was on! 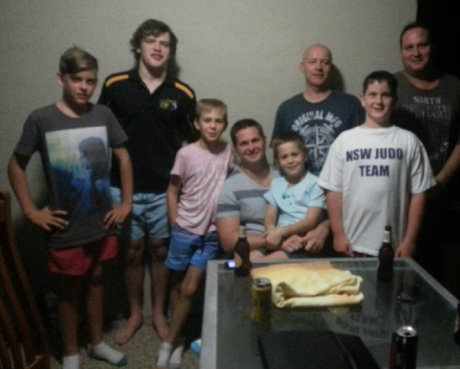 Nigel and Liam accompanied Jacob to QLD. A fun catch-up was had with Dylan, Mark, Felicity and Greg (thank you for your hospitality). Liam achieved Silver whilst Jacob a bronze. Thank you to Nigel for coaching. Many of us were watching the live streaming to keep up with the performances. Marissa, Deana and Ivona joined the seasoned performers (Liam, Jacob and Jessica) to compete in the 2014 ACT International Open. 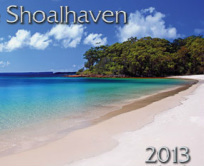 Tournament draws and results can be accessed here. 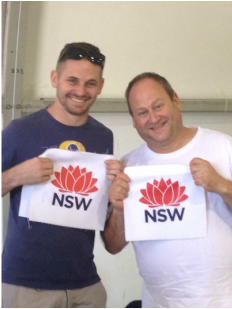 We were excited walking into Blacktown PCYC as two mat areas were set up. 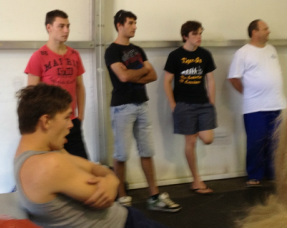 Terry and Nigel "crossed over" and joined the referees alongside many of the other club coaches that attended the day. 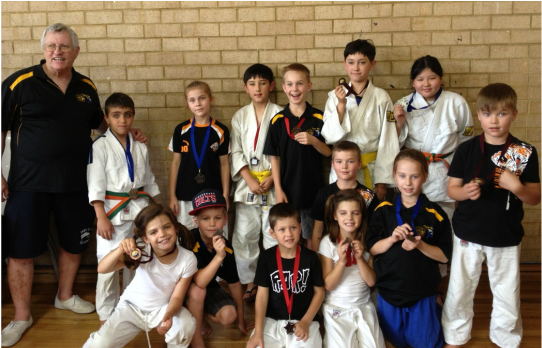 It was Hamzah's first tournament and Kaitlyn's first competition for Tiger-Do. Tayissa achieved her first Gold Medal ever. Well done! 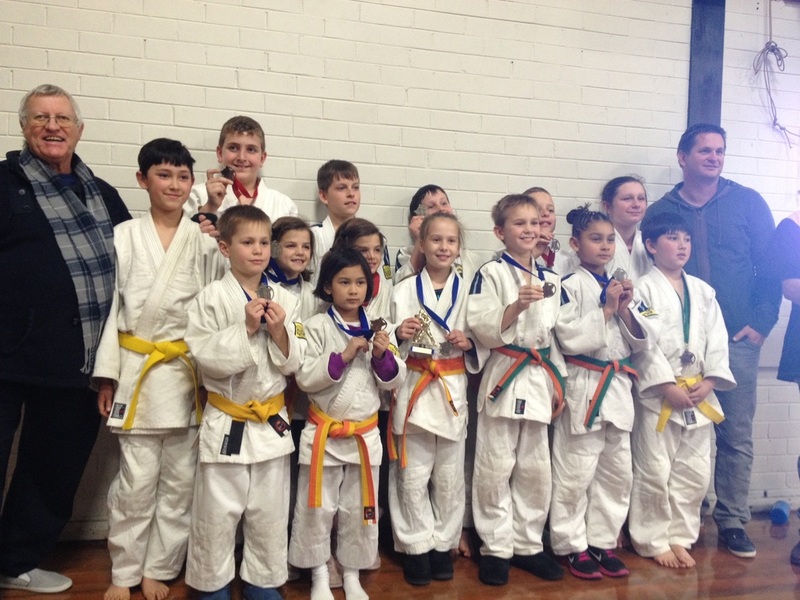 Deana received the "Christmas Stocking" prize for the Junior Girls players after some fantastic Ippon wins. Terry in "referee mode". Watch out Gerardo! Thank you to the spectators for cheering on our players throughout 2013.